Fight and prevent the flu and common cold - Cedrus Ltd. Thanks to the Valeo process, using highly active substances from the beehive, you can now fully benefit from the health-giving properties of bee propolis as if you would take it freshly from the beehive – a privilege only bee keepers had in the past. you can increase the intake to 4 times daily. 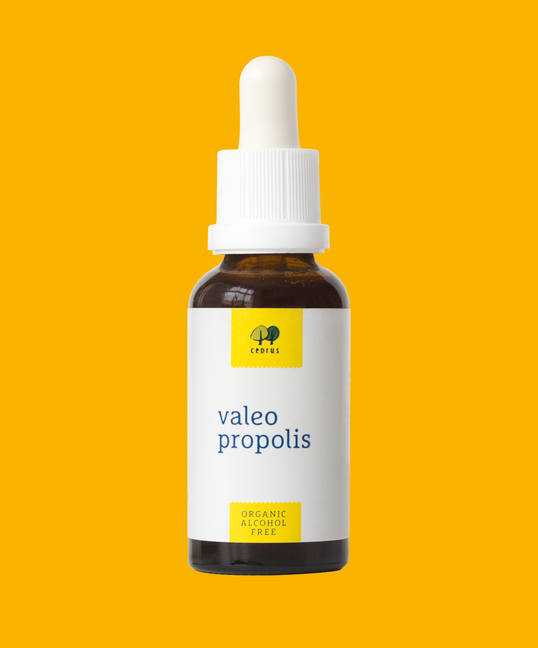 “Valeo Propolis shows various curative effects. It strengthens the immune system and causes a positive effect on inflammatory illnesses. In particular illnesses caused by inflammations of the following organs can be reached through the effectiveness of Valeo Propolis: Frontal sinus, bronchi, intestine, bladder, eyes, stomach." "Valeo Propolis shows a general immune-modulating effectiveness, which appears suitable as a prophylaxis for cold diseases. For this sphere of activity it is to be classified as highly recommendable." “Since the preparation obviously contains much vitality and has general strengthening effects, it obtains the grade 'very good' within the upper scale of the scoring system. Regarding its curative effects, the preparation can be highly recommended to the consumer."